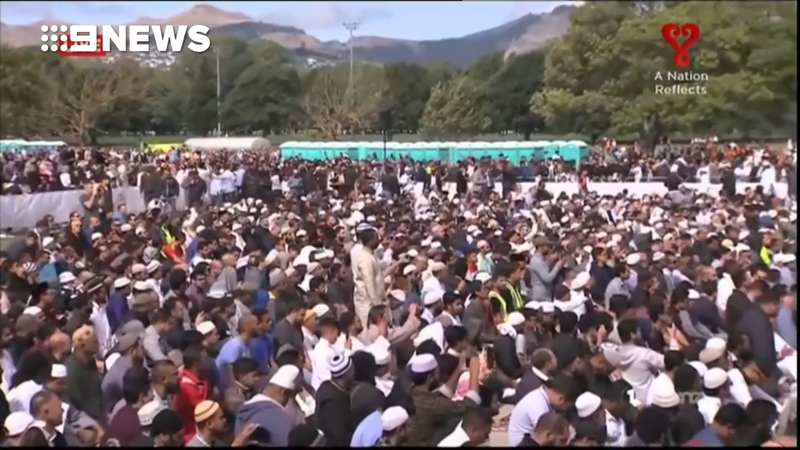 Since the mosque attacks which killed 50 people ten days ago, questions have been asked about why the accused lone gunman wasn't flagged by security agencies in New Zealand or Australia. The response to the attack - carried out by accused Australian gunman Brenton Tarrant - will be investigated later. The act of remembrance was organised to mark one week since a suspected far-right terrorist killed 50 people in shootings at two mosques, streamed live on Facebook. New Zealand's Prime Minister Jacinda Ardern said on Monday she will travel to China at the end of the week for a meeting with Chinese President Xi Jinping, amid concerns of strained relations between the countries. "Today the cabinet agreed the inquiry will be a royal commission..."
"There will be a focus on whether our intelligence community was concentrating its resources appropriately and whether there were any reports that could, or should, have alerted them to this attack", Ardern said. Eight Pakistanis were laid to rest in New Zealand on Friday. R&B singer Alicia Keys also took to social media to encourage her followers to share the photo of Ardern wearing a hijab and hugging a woman affected by the terror attack. A week later, Ardern led an estimated 5,000 people in a prayer at Hagley Park in front of the Al Noor mosque, where most of the victims died. Now charged with one count of murder, he is expected to face more charges when he returns to court next week.